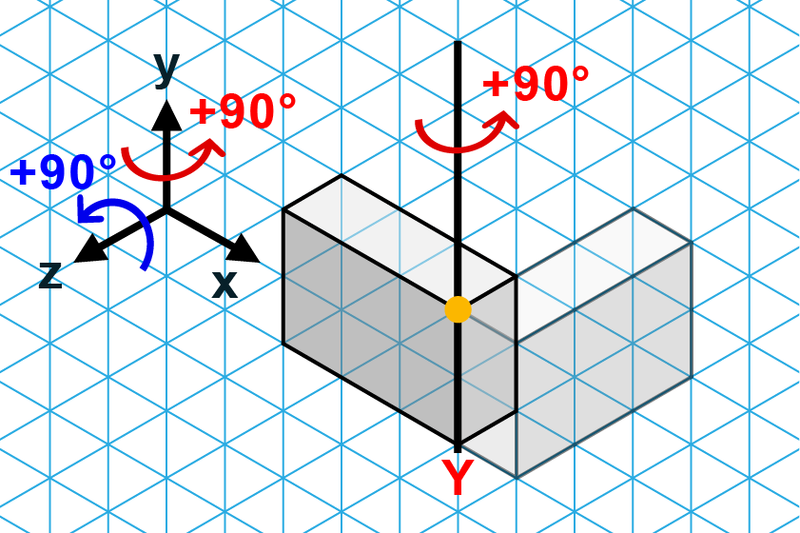 Now you will have to rotate the object about two axes. Rotate about the blue instructions first, then the red. The order of rotation matters! First, rotate according to the blue arrow. Then, rotate according to the red arrow.